The estate of Greenhill was established in the late 16th century and may have had a castle associated with it but any trace of it has now gone. Some sources state that the earliest mention of Greenhill comes in a 14th century charter from the reign of David II in which Henry Braid of that Ilk granted the lands of Greenhill to a Henry Multra. The relative proximity of the Braid estate to the Greenhill in what is now Bruntsfield seems to have led to the conclusion that this was the Greenhill mentioned in the charter. However the Greenhill in the charter is actually an alternative name for Groathill, located in the present day Drylaw, an echo of which remains in the street name Groathill Road. 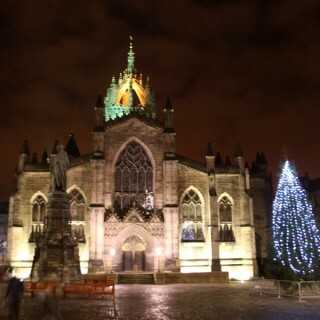 In 1586 Edinburgh’s Council feued out the western Burgh Muir, to the south of the centre of the city, in six lots. 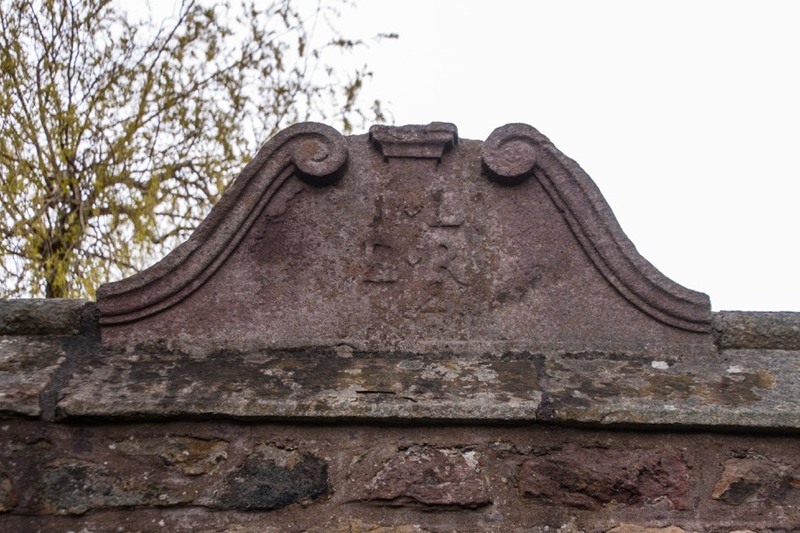 Lot 5, which later came to be known as Greenhill, consisted of 8 acres and two smaller pieces of land and was feued to Thomas Aikenhead, a merchant, his wife Marion Bannatyne and their son James. 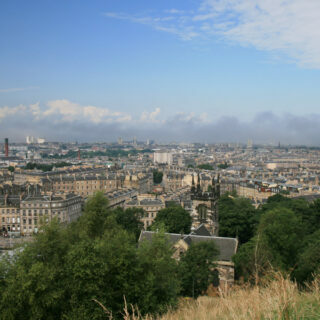 The main 8 acres plot was bounded on the west by what is now Morningside Road, to the south by several march stones and quarries owned by Andrew Stevenson and William Rig, land owned by William Rig to the east and the Common Muir, now Bruntsfield Links, to the north. 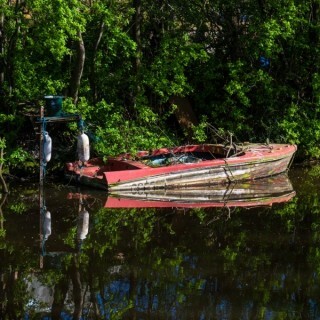 The two smaller exclaves consisted of half an acre of land which came to be known as Burghmuirhead sandwiched between Morningside Road to the east and the lands of Merchiston to the west, approximately where Colinton Road now meets Morningside Road, and a section of the Common Muir. It is not clear if the Aikenheads built a house on their new estate although it seems likely that they would have done. 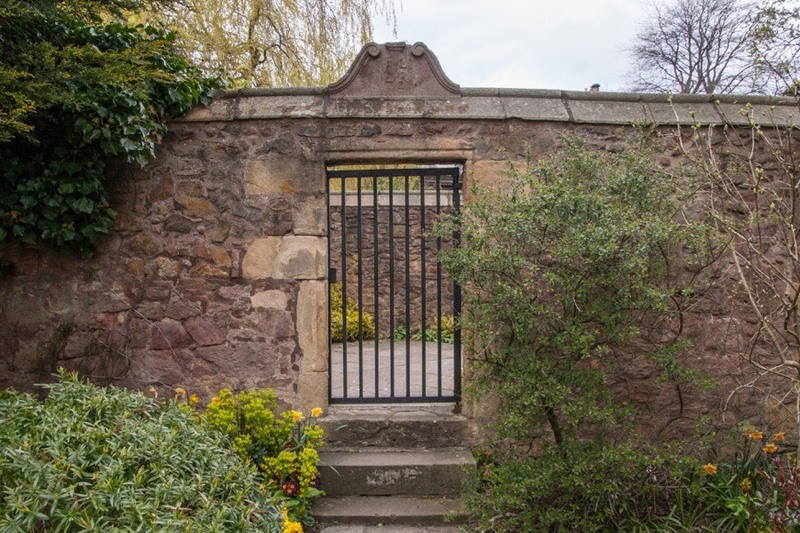 The late 16th century was still a turbulent period and the Burgh Muir was outside the safety of the city walls, so it also seems likely that any house would have been defensive in nature. 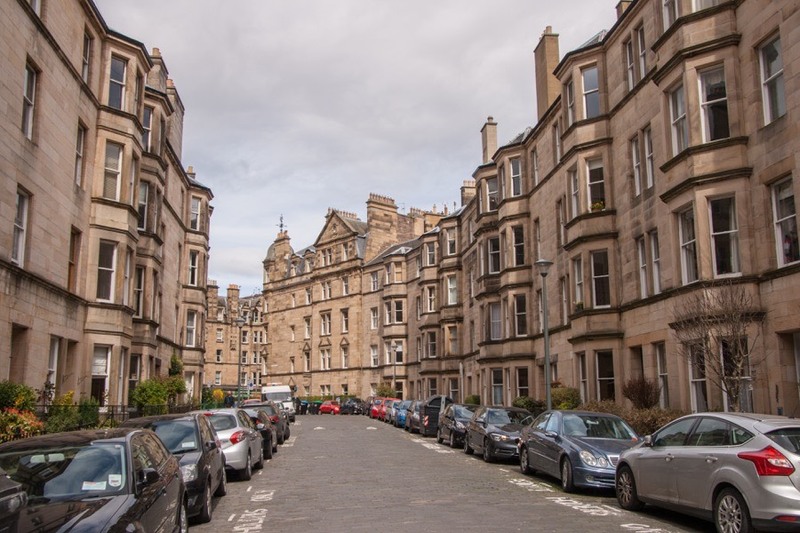 An interesting comparison can be made with the neighbouring Bruntsfield House which was destroyed during the Rough Wooing of 1544 and rebuilt in the second half of the 16th century with defensive features, or the slightly further afield Craig House which dates back to 1565. Greenhill doesn’t appear on Pont’s late 16th century maps which could either be because it hadn’t been built by that point or that it wasn’t considered as important as its neighbours Burgh Muir Castle (Wrychtishousis), Merchiston Castle and Grange House which do appear. It is also missing from Blaeu’s maps published in the mid-17th century, although these were in part based upon Pont’s earlier work. 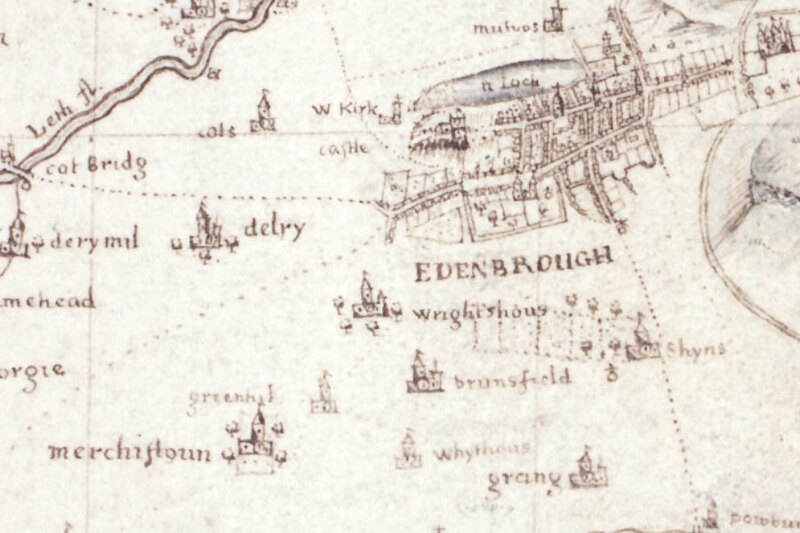 The first map it seems to appear on is John Adair’s Map of Midlothian from around 1682, as “Greenhil”. In 1636 James Aikenhead sold Greenhill to John Livingstone, an apothecary, who is thought to have given the name of Greenhill for the first time to the 8 acres and the land on the Common Muir. 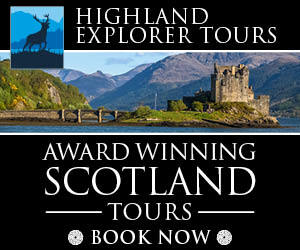 Livingstone had married, in 1626, Elizabeth Rig, who it is presumed was a relative, possibly the daughter, of the William Rig who owned neighbouring lands. 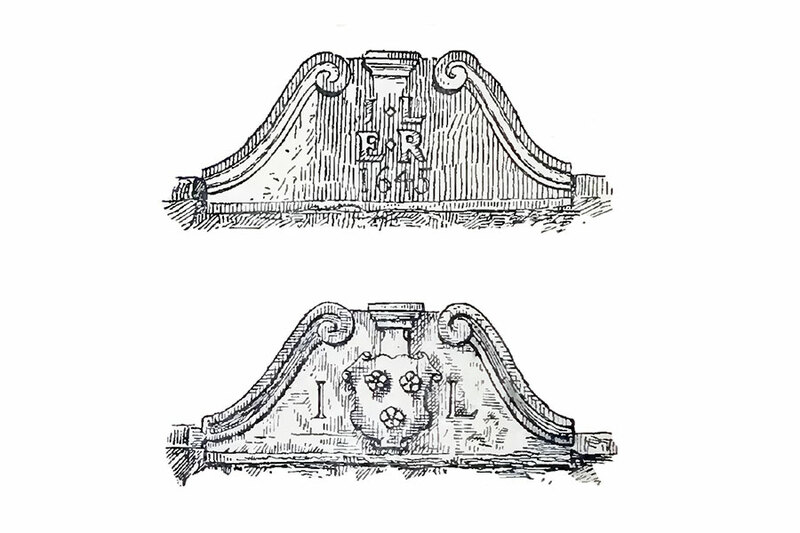 A carved ornamental pediment carrying the initials IL and ER, presumably for Livingstone and his wife, and the date 1645 above a burial enclosure has led to suggestions that Livingstone died in 1645 and the conclusion that it was as a result of the outbreak of plague in that year. However he is actually thought to have died in 1656. 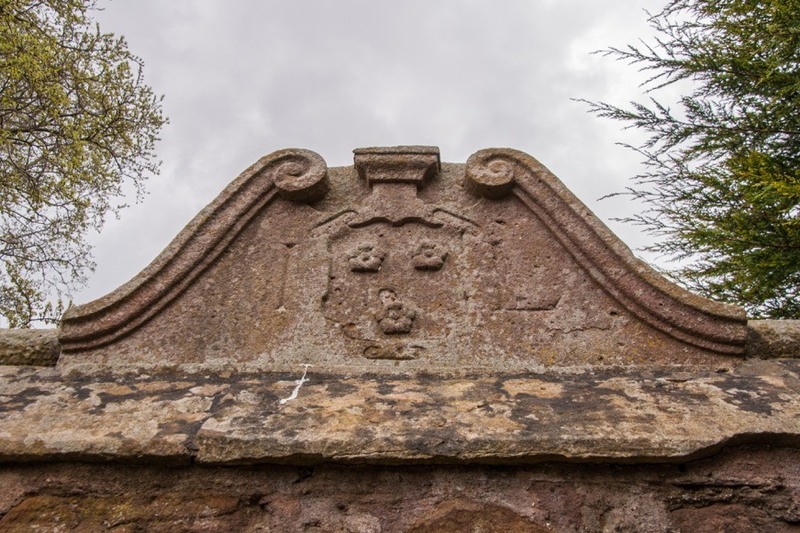 The pediment, which on the other side carries the initials IL flanking a heraldic shield featuring three cinquefoil flowers or gillyheads, is located above the entrance to the enclosure which is situated next to 1 Chamberlain Road. No age shal los his memorie. His age 53. Died 1645. Although the current entrance is on the south side of the enclosure the original entrance is thought to have been on the west side, as shown on Robert Kirkwood’s map of 1817. This and mid-19th century maps appear to show that the southern half of the enclosure was roofed. By the end of the 19th century the tomb is shown with steps to the south and a disposition from 1894 relating to the sale of Greenhill House refers to a previous owner, Sr Archibald Graham, having taken down the walls of the tomb and stipulating that the new owner must rebuild them. The Livingstones had two sons, John, a doctor, and William, a writer. The estate passed to the former in 1666 by which time the family had added several other plots of land from the 1586 feu of the western Burgh Muir to Greenhill, including 3 and a quarter acres originally feued to Thomas Paterson and 3 and three-quarter acres feued to William Rig, plus an acre feued to William Rig in 1593, bringing the total size of the Greenhill estate to 19 acres. John Livingstone is said to have built a new house on the site of the earlier one, although this assertion may be due to a misreading of a charter which refers to “the manor place of Greenhill and houses and other buildings recently built and constructed upon the said lands of Greenhill”. He may in fact have been responsible for constructing additional buildings on the estate rather than a new manor house. The charter is undated but confirms the succession of his brother, William, to the estate. In 1670 Greenhill was acquired by John Kennedy, an apothecary, and three years later by Adam Gairdin, a surgeon. 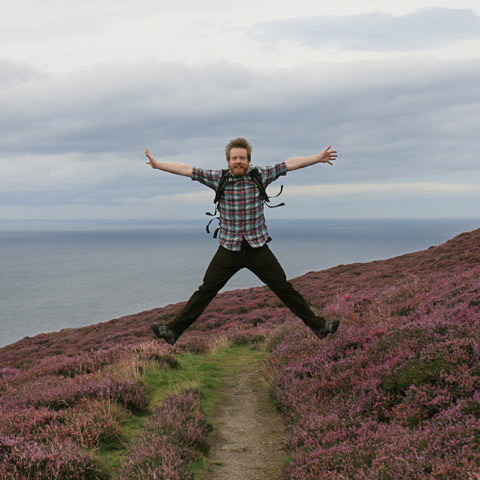 Gairdin’s grandson, Adam Fairholm, succeeded in 1720, and Greenhill passed from him to his son, George Fairholm. In 1790 George sold the estate to a Thomas Wright, but retained the right of access to the burial enclosure for him and his descendants. Wright died early in the 19th century and his trustees sold Greenhill to Sir William Forbes of Pitsligo, 7th Bt., in 1806. Forbes was succeeded by his eldest son, Sir John Stuart Forbes of Pitsligo and Fettercairn, 8th Bt., later Sir John Stuart Hepburn-Forbes of Invermay, who in 1845 did a deal with the Council to straighten out the irregular boundary between the north of the Greenhill estate and the south edge of Bruntsfield Links. 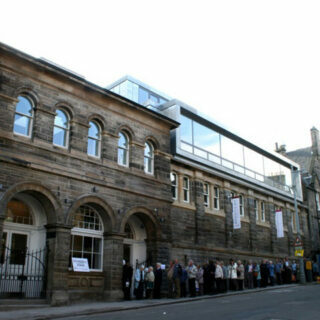 The new boundary is now represented by the line of Bruntsfield Terrace and Bruntsfield Crescent. Following his death Sir John’s trustees sold the Greenhill estate to the Alexander Chinnery-Haldane in 1873. At that time Chinnery-Haldane was serving as an Episcopalian curate at All Saints’ church, but he would later be consecrated the Bishop of Argyll and The Isles. In 1882 Chinnery-Haldane sold Greenhill to a firm of builders, Beattie’s, and Greenhill House was demolished in 1884. Three quarries were opened up on the estate and over the next ten years supplied the stone for an intensive building programme that saw the construction of many houses and tenement blocks. 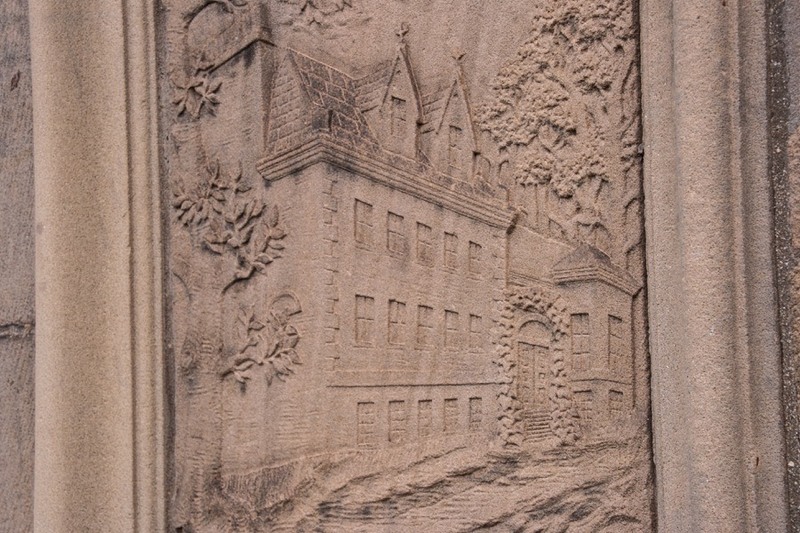 A stone installed on the wall of a building at the corner of Bruntsfield Gardens and Bruntsfield Place depicts Greenhill House, carved by George Washington Browne, as a substantial mansion of three floors plus an attic. Some twenty-one windows are visible in the carving, with the two dormer windows being surmounted by carved pediments with cross-like finials protruding from them. 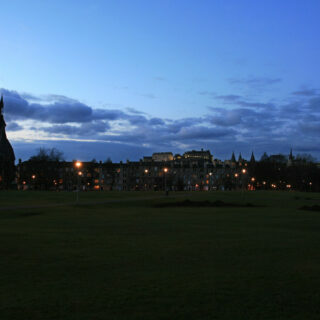 The site of Greenhill House itself now lies across Bruntsfield Gardens approximately level with number 18. 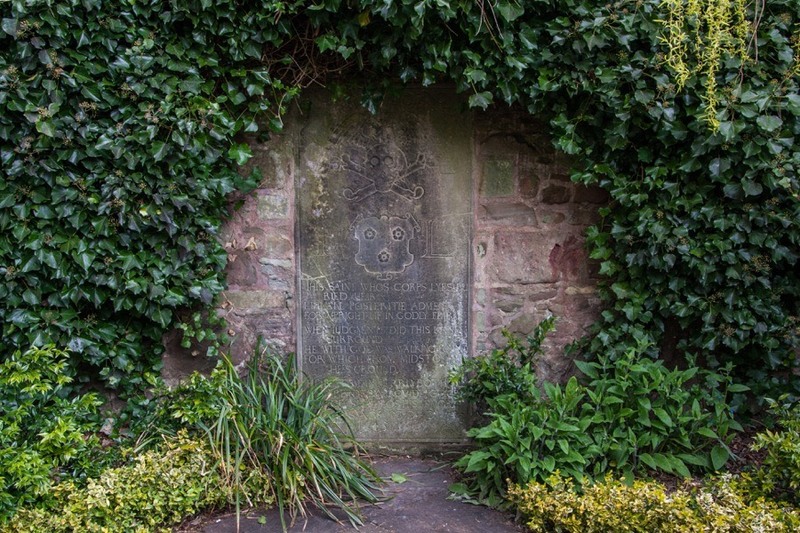 All that remains of the Greenhill estate, apart from streets following the old boundaries and the street names Greenhill Court, Greenhill Gardens, Greenhill Park, Greenhill Place and Greenhill Terrace, is the Livingstone burial enclosure. 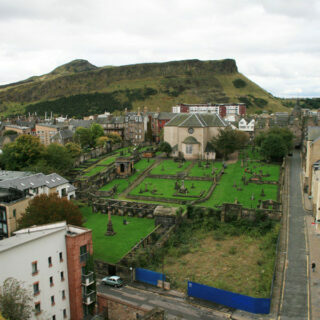 In 1999 it was renovated by the City of Edinburgh Council and the Greenhill and Church Hill Residents’ Association, and in 2004 it was fenced off during an ownership dispute however public access has now been restored. Greenhill is in the parish of Edinburgh and the county of Midlothian. Published on the 24th of April 2016 at 1:05 pm. Updated on the 24th of April 2016 at 1:28 pm.